Denny Hamlin will take the track Sunday at the 2017 Daytona 500, but will he be able to repeat as this year's winner and join Dale Earnhardt Jr., Jimmie Johnson, Matt Kenseth and Michael Waltrip as active drivers with multiple victories in this race? There will be plenty of competition from the sport's veterans, as well as young stars Austin Dillon, Chase Elliott and 2015 Daytona winner Joey Logano. 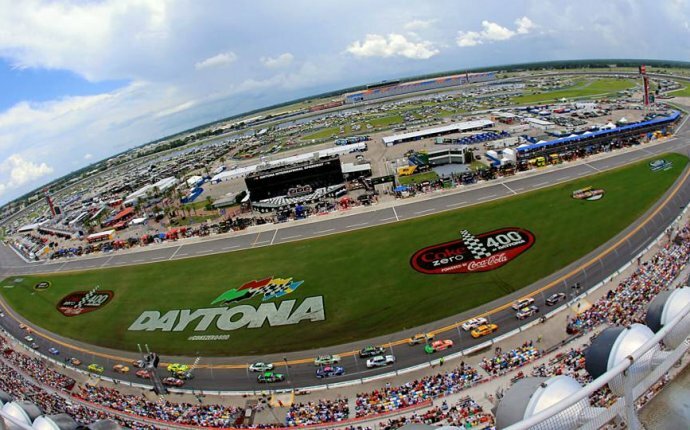 With so many racers experiencing past success at Daytona International Speedway, this year's event is truly wide open. Chase Elliott 1st driver to win #Daytona500 pole & qualifying race since Earnhardt '96. Only other to do it since '90: Davey Allison '91. Entering his third season on the Monster Energy NASCAR Cup Series, Elliott is still looking for his first victory. His past results suggest that win should come very soon. He notched 10 top-five finishes last season along with 17 top-10 results. Yet, Elliott has an average finish position of 34.5 in two races at Daytona International Speedway. Hamlin was the Duel's other winner, edging out Earnhardt. Jr late. He was propelled by a push from Dillon, and Hamlin believes the two could work together again on Sunday, via NASCAR.com. "It looked like our cars worked really, really well together there so we’ll keep that in mind when I need somebody to draft with in the 500, " Hamlin said after the race. Hamlin is among the sport's top racers, and he has been strong at this track. In addition to last season's win, Hamlin finished in the top five six times and seven times in the top 10. He may have to repeat some of his late heroics from Thursday, as Earnhardt Jr. looked dominant for the majority of the Duel race. Given that he already has two Daytona 500 wins and should be motivated to perform well after last year's injury issues, Earnhardt Jr. will undoubtedly be a contender on Sunday. Another young driver with a bright future, Dillon could be a sleeper in this race. Like Elliott, Dillon is still looking for his first Monster series win. Also like Elliott, Dillon is certainly on the verge of ending that drought. He led in 17 of 36 races last season, ending up with four top-five results and 13 top-10 marks. At Daytona, Dillion has also been in the mix. In seven races, Dillion found himself in the top five once along with five top-10 finishes. He will also be racing with his brother, Ty Dillon, for the first time in the Monster Series.